At the age of six, there is a great transformation in the child, which can be compared to a new birth. Before the age of six, children want to know “what” and “where”, and they are interested in facts. At the Elementary level, children become fascinated by the “why” and “how” of everything, and they become interested in reasons and explanations. They begin to focus more on the world outside of their classroom, and to ask encompassing questions about how everything came to be, about the universe, the world, society and their place in it. At that age, children have questioning and reasoning minds, a strong ability to abstract and imagine, a natural desire to collaborate with peers, and unlimited energy for research and exploration. This is also the time where children want to learn what is right and wrong and to explore meaningful roles in society. Our Montessori Elementary program specifically targets the needs of the children from 6 to 12 years-old. Our Elementary learning environment is carefully structured to challenge and stimulate students. We engage children’s intellect, direct them towards activities which help develop reasoning abilities, and capitalize on their interests in order to help them find meaningful involvement. The children’s curiosity, imagination, and development of social skills are used as natural motivators for learning. There is a great emphasis on organization skills, work habits, abstract understanding, time management, responsibility, interpersonal skills, self-confidence, and cooperation. Students are encouraged to pursue particular interests, investigate, question, draw conclusions, communicate proficiently, and work cooperatively with others. Group discussions, research work, and oral presentations are very prominent in all areas of the curriculum. Over a six-year cycle (equivalent to grade 1 through grade 6), students complete a core curriculum that exceeds the standards of the Ontario Ministry of Education. The goal by the end of the 6-year program is for students to be independent learners who have developed strong academic skills, a genuine love of learning, and sense of global awareness. Our Elementary environment is being conducted by an AMI Montessori-trained teacher with special qualifications for the Elementary level and a francophone teacher. A French-speaking teacher’s assistant helps with classroom management. The teachers mostly give small-group lessons in all academic areas and encourage the children to do their own research. Children learn through hands-on experience, investigation, and active engagement in their studies as they progress from concrete to abstract thinking. We also provide the individualized attention necessary to ensure that every student achieves success. Students work at their own pace, and the learning environment is designed to accommodate a wide range of interests, abilities, and learning styles. The Elementary environment is a mixed-age group setting with learning materials appropriate for each age. The younger children learn from the older ones, while older students can teach and be role models for younger ones. Within a warm, supporting, non-competitive atmosphere, students often work on collective projects, as each child contributes with his/her personal talents and capabilities. A sense of community is enhanced within the classroom through peer teaching, collaboration, mentoring, and leadership experience. In the Elementary classroom, great emphasis is given on helping students take responsibility for their own conduct in relationships as well as in caring for the environment. The environment provides opportunities for group meetings to discuss conflict resolution techniques, express feelings, develop solutions, create class rules, and learn to respect other. “Mens sana in corpore sano – A healthy mind in a healthy body”. 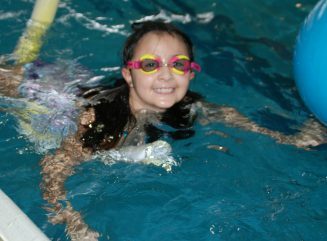 We recognize that physical exercise is an essential part of a child’s mental and emotional well-being. 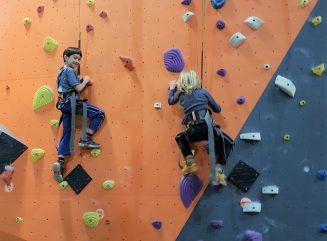 Therefore, throughout the year, our students participate in off-site activities such as soccer with Little Kickers, rock climbing at Altitude Gym, and gymnastics at The Ottawa Gymnastics Centre (OGC). At the Ottawa Athletic Club (OAC), they receive lessons in squash, tennis, golf, swimming, and circuit training. In the fall, students participate in track and field and in the winter, they enjoy skating and snowshoeing. Every day, weather permitting, students also engage in physical activities and they spend time outside at our large neighbourhood park. 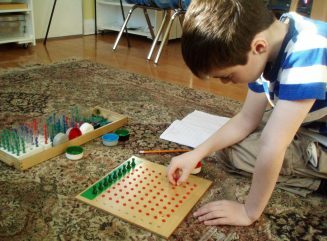 The experience of going on various outings is also very much part of our Montessori Elementary program. Students go to community resources, museums, neighbourhood facilities, theatres, farms, festivals, etc. Children apply the skills that they have acquired in class to real life situations. Students participate in art, music, drama and cooking classes. They organize many events such as art show, spring play, holiday concert, bake sale, botany fair, science fair, space fair, etc. Our students are also encouraged to learn how they can make a difference and to “think globally, act locally” by participating in community service such as organizing fundraisers, collecting clothes for people in need, volunteering for a local charity, etc. Throughout the year, students make a positive contribution to the larger community by helping locally, nationally and internationally. 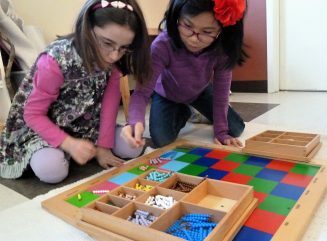 The Montessori Elementary curriculum offers an open-ended and integrated approach to learning. The curriculum is designed to lead the students to abstract work and exploration beyond the walls of the classroom. It helps students to develop critical thinking, problem solving, and social skills, which are qualities needed throughout life. Curiosity is fostered both by introducing a wealth of information to the children, as well as by encouraging active, independent research in all areas. The Montessori Language curriculum is designed to enhance the students’ skills in reading, spelling, comprehension, writing, creative writing, grammar, sentence analysis, literature, poetry, and verbal communication. Students also study word families, word origins, and their meanings. Handwriting skills are reinforced through practice, journaling and class work. Children are also exposed to a variety of literature and poetry. The study of literature allows the children to discover “The Elements of Style” and how it may be incorporated into their own writing. Language is integrated into all aspects of the curriculum through written comprehension materials and oral presentations. Mathematics materials are concrete representations of abstract concepts. The curriculum allows the child to explore and discover new concepts through a “hands on” approach, which is then followed by memorization of facts. Concrete learning materials help children moving towards the process of abstraction with greater ease. The curriculum covers an integration of Math facts, arithmetic, graphs, fractions, proportions, word problems, rounding, averaging, statistics, algebra and geometry. Students practice enrichment of vocabulary, verbal communication, reading, spelling, writing, creative writing, grammar, and sentence analysis. Students also have the opportunity to research subjects of personal interest in French, and to present their projects to the rest of the class. Students are encouraged to use French outside the classroom environment during outings and special events held at the school. In History, the children learn about the concept of time and culture. The curriculum encompasses the creation of the Universe and formation of the Solar System, the time line of the Earth, the evolution of humans and the time line from prehistory to current history. Children are introduced to physical geography and Earth systems (such as water cycles, formation of mountains, tectonic plates, movements of continents, etc.). They explore political, cultural and economic geography. They also learn about atoms and molecules, scientific concepts and many fascinating facts. The Biology curriculum gives a means of classification to the children. Students learn about life systems (e.g. the human body, respiratory, circulatory, nervous and digestive systems), and cell structure and function. Children study the classification of plants, their structures and roles. Students also learn about the classification system of the animal kingdom, animal’s physiology, and the functions of internal organs of animals. They also investigate the various ways animals adapt to their surrounding and how evolution is linked to these adaptations. 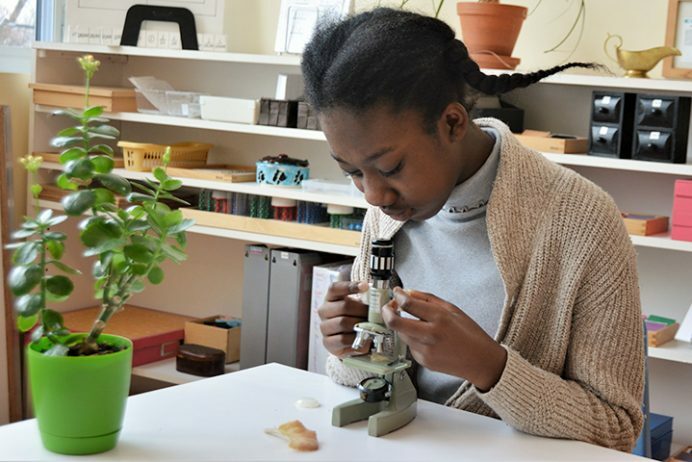 Through the Geography and Biology subjects, the children engage in experiments and explore concepts such as matter, electricity, viscosity, magnetism and many more. The Arts curriculum encompasses the following: Visual Art, Music and Drama. The curriculum is designed to develop and enhance a range of skills such as: art appreciation, creativity, expression, communication and movement. In a non–competitive atmosphere, children participate in physical activities, games and sports. The activities are designed to promote physical fitness, develop motor skills, and encourage students to work as a team. Students also learn about food, food handling, nutrition, and the diverse factors that contribute to health. Off-site excursions occur throughout the year. These excursions are extensions of studies our students are pursuing in the classroom. They allow children to apply their skills and to continue their learning and growth outside the class. 8:20 Elementary children morning arrival. 8:20 to 11:20 Morning cycle and snack time. 11:20 to 12:20 Lunch (Students can engage in activities when they finished lunch). 12:20 to 12:50 Gym / Structured physical activities. 12:50 to 1:20 Outdoor recess. 1:20 to 3:45 Afternoon cycle and snack time. 3:45 Children gather all their belongings and go home or to aftercare.